In the last year Gateway Container Sales have published over 40 blogs on container building projects, and had thousands of readers. Here are the 10 most read blogs that we published in 2015, based on readership and comments. Getting the foundations right has always been an important factor for any building construction! This popular blog post in 2015 covered the various forms of shipping container foundations and considered 4 main types of foundations in detail. Where most people may dream of their grand design being built in the perfect location, the nearest many ever get is a perfect shipping container garden shed. Planning restrictions even in the toughest of countries are easier when you’re working with a shipping container, and you can let your imagination run wild with your little escape at the bottom of your garden. This piece looked at some of the best garden sheds made from shipping containers from around the world. Whether you are so fed up with the rat race you want to pack up a rucksack and head out into the bush never to return, or you want that perfect holiday home out of range of cellphone and internet coverage, you may consider putting a shipping container cabin in the middle of nowhere. This piece looked at a range of things to consider when setting up a container building that is off grid. Coming in at number 4 of our most popular pieces, this blog post looked at four top tips for building your own shipping container garage. Size matters, and you should think of the scale of the new building before selecting your containers. Once you have decided on that. You should design it. Lay your foundations and then prepare the garage! This piece looked at farm buildings made from shipping containers around the world, with an eye on what you could do here in Australia. Whether storage for grain or shelter for machinery, these spaces can be made very cheaply relative to their size, and you can make substantial savings on what the farm supply company would charge you! Designed and built for keeping goods in perfect condition during long sea journeys, shipping containers make ideal buildings for storage on dry land. You may want to use it as a mini garage, stack some into a barn format, or use it as a bloke’s shed – it really is down to you what you want to do with the container that has, after all been designed as a mobile storage unit! 7. Costing Out a Shipping Container Build – What Does It Involve? One of the practical aspects of putting a container building together is the costing. Yes, they can be very cheap to set up and install, but there are a number of things you need to consider before diving into the project. This blog post covered all the most important cost factors to consider ahead of starting your project. This piece investigated the weird and wild world of novelty shipping container gifts and the companies that manufacture and sell them. Whether pen holders, flash drives, piggy banks, or stress toys, mini shipping container models can be turned into almost anything you could want around your home or office! 3D printers are becoming more and more popular in the construction industry. With some being used to print large objects such as furniture or entire rooms, shipping containers make the ideal house for these larger than life printers. This piece looked in more detail at some of the 3D printing projects going on around the world utilising shipping containers. Sometimes we need a bit of extra space, whether as a guest room or home office, and rather than search for a new home it may make sense to build more space onto your property. With container buildings only really limited by your imagination, you can design and build your shipping container spare room very quickly and cheaply before dropping it into place on your property. Here we give you 15 suggestions as to what you could do with that extra bit of space. 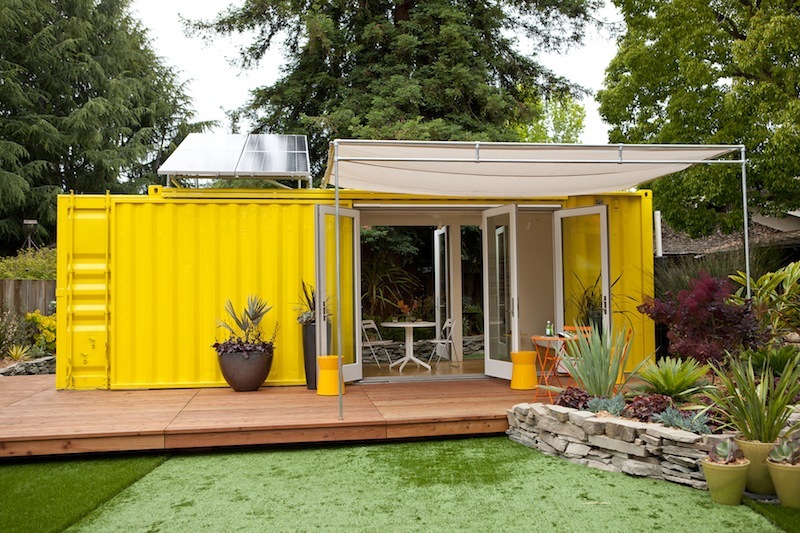 Have These Shipping Container Blog Posts Inspired You? And there you have it – our top 10 posts for 2015, with everything from garden sheds to 3D printers. If these projects have inspired you into taking the leap into building a new container construction, get in touch with Gateway Container Sales now! We offer free quotes and advice as to how to go about your new project.